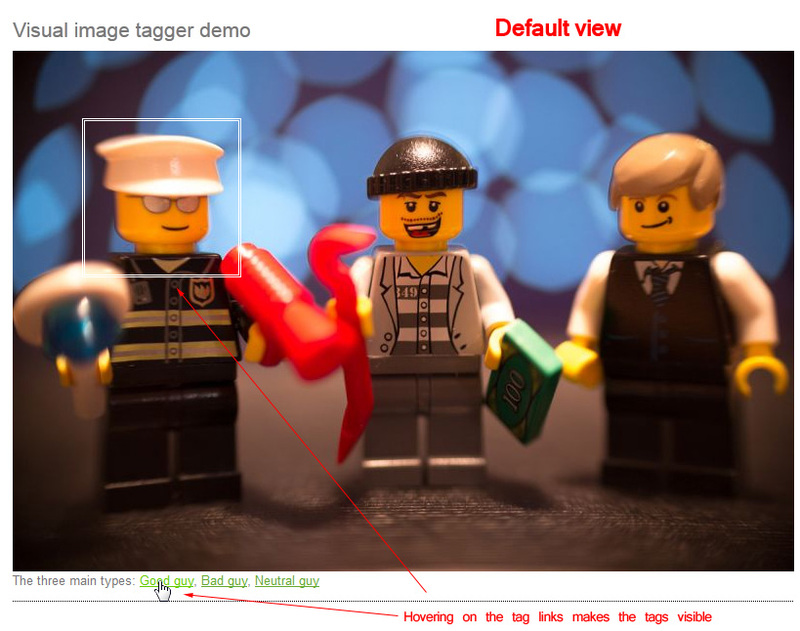 Visual Image Tagger is a special type of image block that allows you choose an image and to define highlighted boxes (visual tags) over the image. 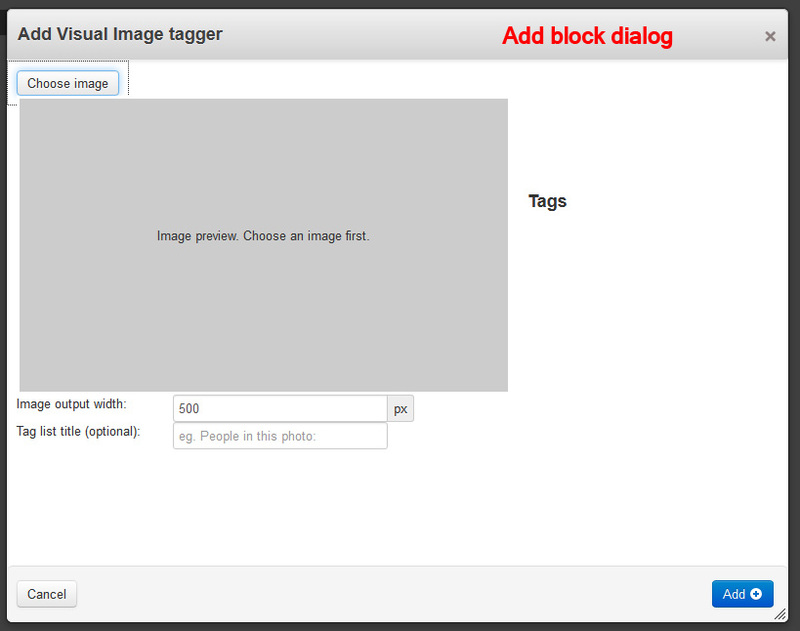 The tags will be listed as links under the image and when hovering over a link, the corresponding tag will be displayed over the image. 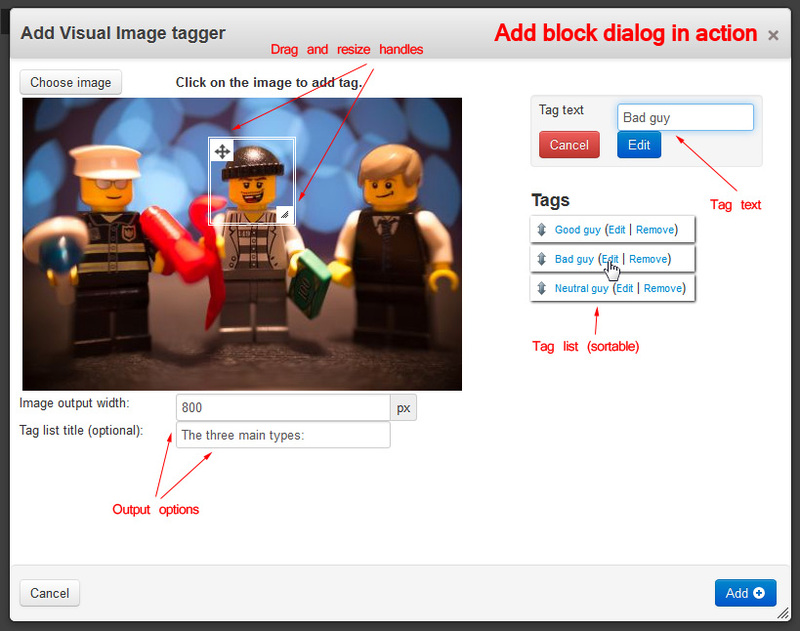 The tag boxes can be moved, resized and re-ordered as needed. You can also define the output width of the image.